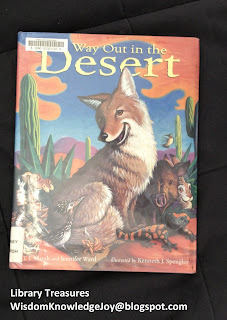 We found several wonderful books this week, but Way Out in the Desert by Jenifer Ward and T. J. Marsh, illustrated by Kenneth J. Spengler, stands out. Each page beautifully depicts a mother animal from the Sonoran desert interacting with her little ones against the backdrop of plants and structures in their native habitat. We enjoy singing the songs, counting the babies, studying the pictures. 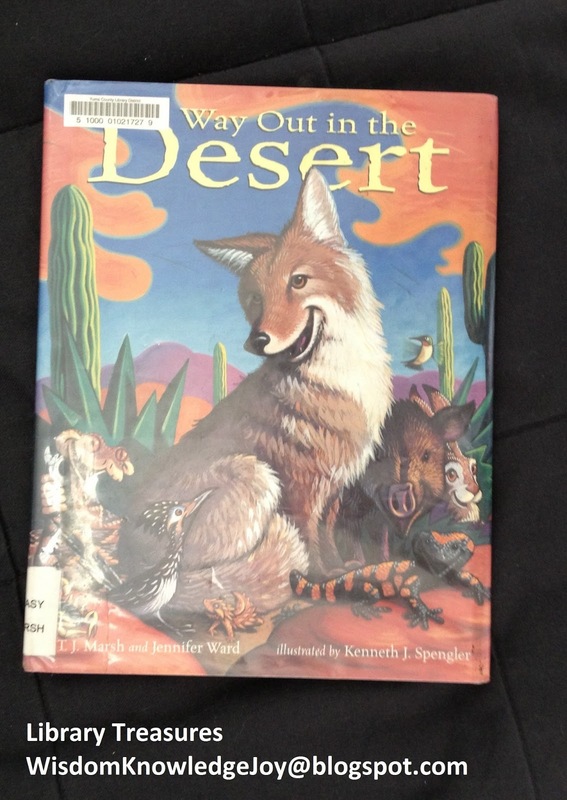 This book serves as a happy introduction to some fascinating desert creatures. This looks like a beautiful book. I love the mother and baby theme. I agree. The mother and baby theme was part of what made the emotional connection.